The Santa Maria wall sconce in Aged Gold is an ode to traditional Spanish decor. 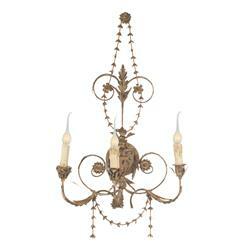 This hard wired sconce is sure to add an element of eclecticism to any room. Coordinating chandelier available as well. Price marked is for a pair.